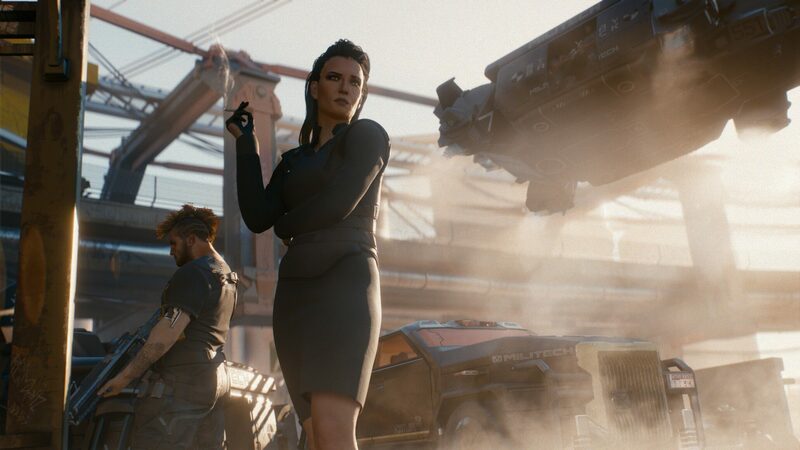 It’s been some time since we have learned anything new regarding Cyberpunk 2077, but it seems like the time is right for the team to share some additional information on their upcoming massive role-playing game. Reddit user bboymurchant recently asked the Cyberpunk 2077 official Facebook page about hacking. The rep answering the question revealed that hacking will be a very important part of the game, as it will not only help players during missions in a variety of ways but also reveal locations of interesting places and so on. Last month, we have learned that Cyberpunk 2077 side-quests will influence the main story in some way. Side quests are great opportunities for us to tell stories of our cyberpunk world. After all, despite not being a part of the main questline, they are still connected to the world and can elaborate on certain parts of it, like the characters. So it’s all interwoven. And yes, that also means that our side quests could affect the main story. Cyberpunk 2077 is now in development for PC, PlayStation 4 and Xbox One. We will keep you updated on the game as soon as more come in on it, so stay tuned for all the latest news.